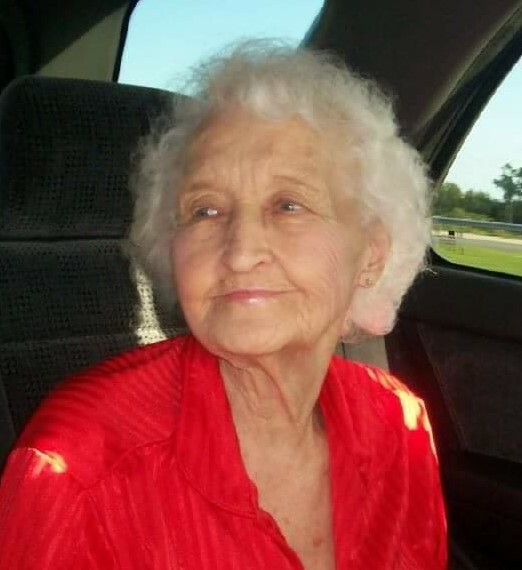 Elizabeth Ferguson, age 90, of Piqua, OH passed away on Tuesday, November 27, 2018 at her home. She was born in Palerma, WV on January 17, 1928 to the late Pembrook and Ella Victoria (Queen) Adkins. She was married to the late Wayne Ferguson, Jr.
Elizabeth is survived by her children: Sharon (Mark) Oplinger of Englewood, FL and Theresa Hager of Morrow, OH and daughters-in-law: Jana Ferguson of Troy, OH and Tina Ferguson of Piqua, OH; and grandchildren: Chuck Bramlette, Andy Oplinger, Wayne Oplinger, Chad Oplinger, Joe Dress III, Jeff Hager, Ty Plunkett, Berry Ferguson II, Dustin Ferguson, Troy Ferguson, Josh Ferguson and Tammy Monin; 24 great grandchildren; 7 great great grandchildren, and siblings: Minnie Stewart of California, Ruby Moore of West Virginia, Linda Rolando of California, Arlene (Ron) Klump of Wisconsin and sister-in-law: Millie Adkins of West Milton, Ohio, Judy Adkins of Troy and Betty Adkins of Sidney. In addition to her parents, Elizabeth was preceded in death by her husband: Wayne Ferguson, Jr in 2000; sons: Anthony Ferguson and Berry Ferguson; brothers: Danny Adkins, Buck Adkins, Earl Adkins, Arvil Adkins, and Mel Adkins; and grandson: James Hager II. She was formerly employed with Dayton Aviation and Radio Equipment Corporation. She enjoyed sewing and reading. Services will be held at 1PM on Friday, November 30, 2018 at Baird Funeral Home, Troy, Ohio with the Chaplain Andral Gooden officiating. Interment will follow in Shelby Memorial Gardens, Sidney, Ohio. The family will receive friends from 11-1PM on Friday at Baird Funeral Home. Memorial contributions may be made to Hospice of Miami Valley, 46 North Detroit Street, #B, Xenia, Ohio 45385.